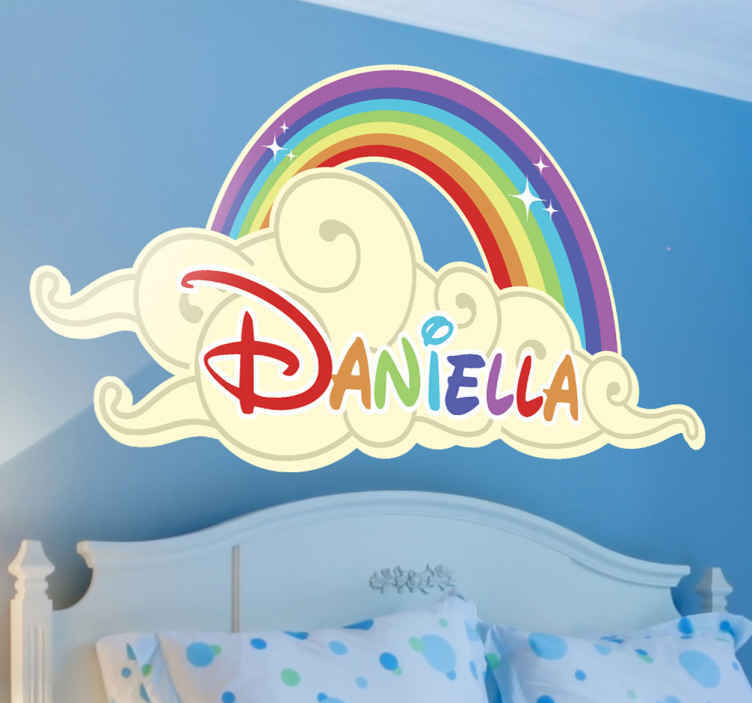 A personalised children's wall sticker with a bright and colourful design of a rainbow and cloud. Ideal for decorating kid's bedrooms in a personal way. Make your child's bedroom more unique to them with a special Disney style font that you can customise with any name you like! A fun rainbow sticker that will look great in girls or boys rooms. Choose from a range of sizes and let us know your required name in the 'notes' box of the payment page. Easy to apply to any flat surface and removable without leaving any residue.